Task: to create new mailboxes. Federal State Unitary Enterprise Russian Post is Russia’s national postal operator and one of the largest and most important companies of the country. 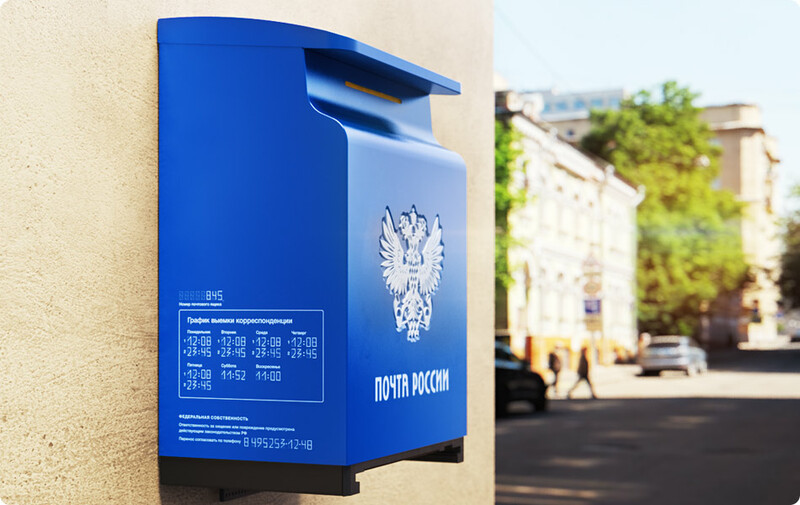 One of Russia’s strategic enterprises, Russian Post has over 42,000 branches and delivers more than a billion letters every year. More than 140,000 mailboxes of various design and appearance are installed throughout the country, many of them technically and aesthetically obsolete. 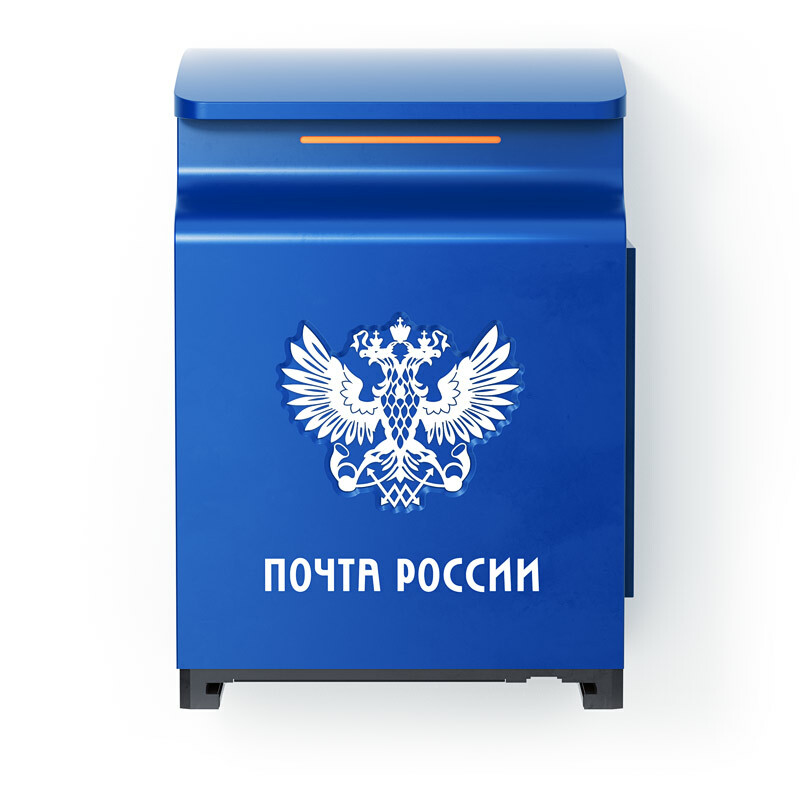 By the request of Russian Post, a new mailbox design was created at the studio for the mailbox upgrade program that starts in 2015. 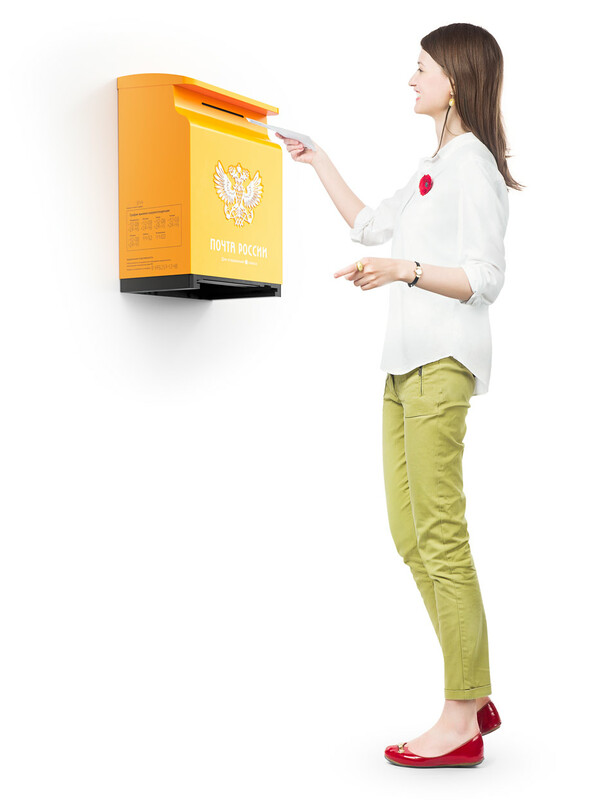 The compact and light mailboxes are made of sheet metal and are simple and economical to manufacture. Three colors represent different types of correspondence: the traditional blue is for messages across Russia, the red is for correspondence within the city and the yellow is for First Class deliveries. The boxes are painted with solid powder paint while the Russian Post label is silkscreen-printed. Each mailbox features the Russian coat of arms which is cut from steel and fixed in the recess giving the front of the box a visually pleasing volume as well as making it resistant to deflection and deformation. The curve of the front and sides creates additional stiffening ribs and increases the robustness of the box. The top cover acts as a visor and protects the contents from precipitation. Information on collection times is written on a template located on the side of the box. Using an easily replaceable sticker allows to update the schedule as frequently as needed. The design of the box allows for several ways to collect correspondence, both manually and using a special frame (mechanical or with a chip). A lockable door on the left side is used to remove letters manually. The opening at the bottom allows to collect post using a frame which acts as a key. 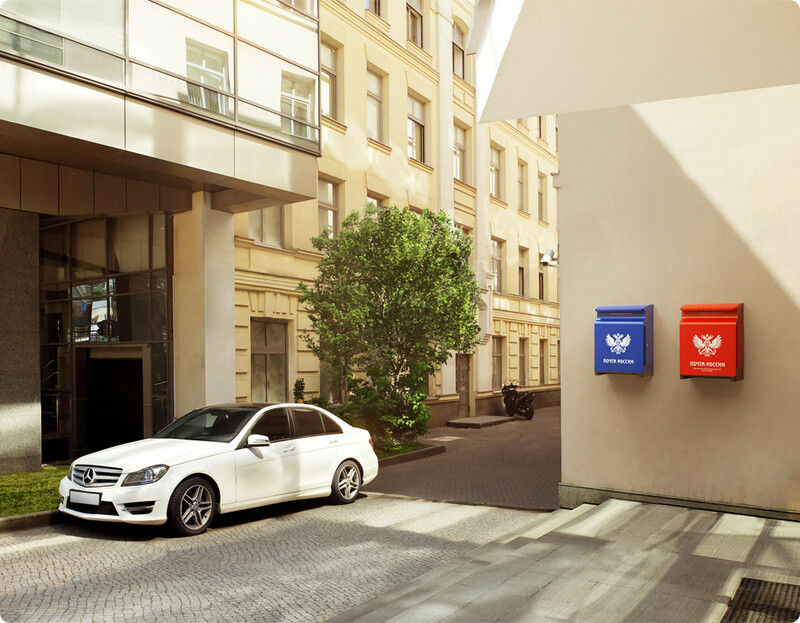 Mailboxes can be manufactured with either or both collection systems.